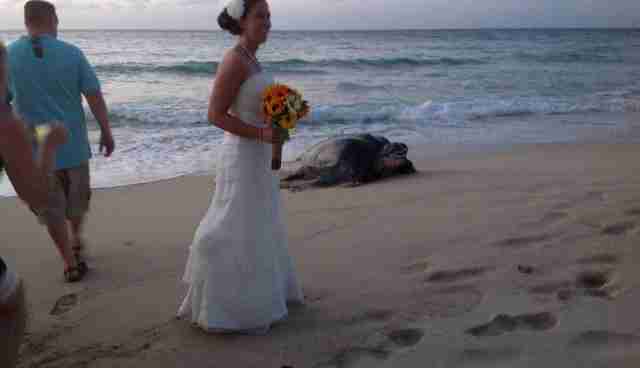 If you throw a luxury wedding in St. Croix, then you might have to count on some uninvited aquatic guests showing up -- which is exactly what happened to one couple who got married on the island last weekend. 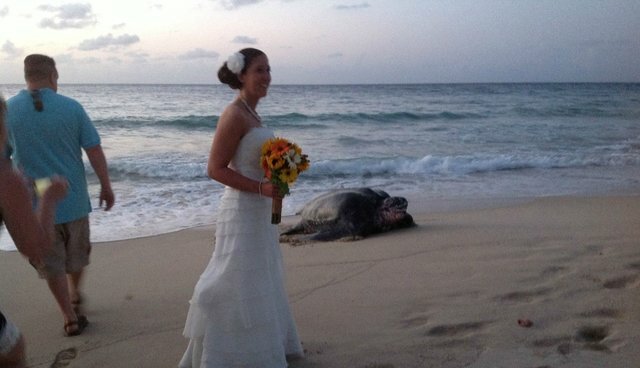 Just in time for cocktails, a rare leatherback sea turtle -- the largest and one of the most endangered turtle species -- appeared on the shore and surprised wedding guests. 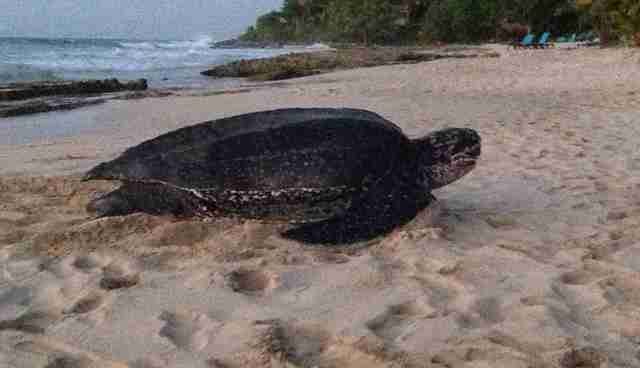 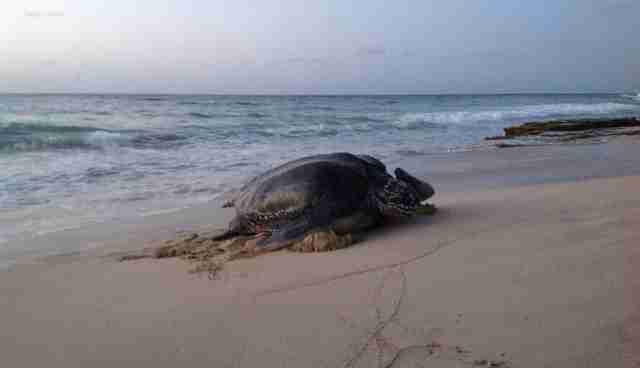 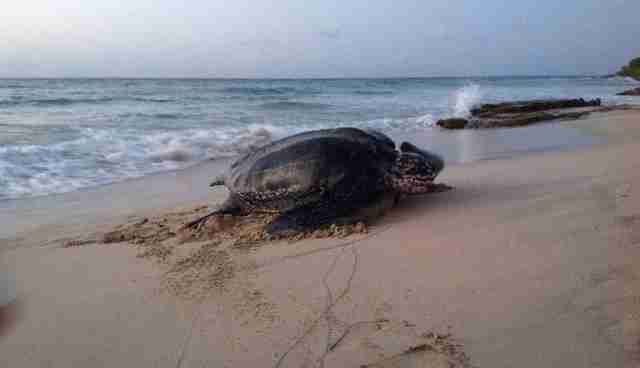 More surprising than the turtle's guest appearance, though, was her special party trick: as one partygoer later posted on Reddit, the turtle "came ashore, circled around digging a hole, laid [her] eggs on the beach, covered them back up, and rolled back out into the ocean." 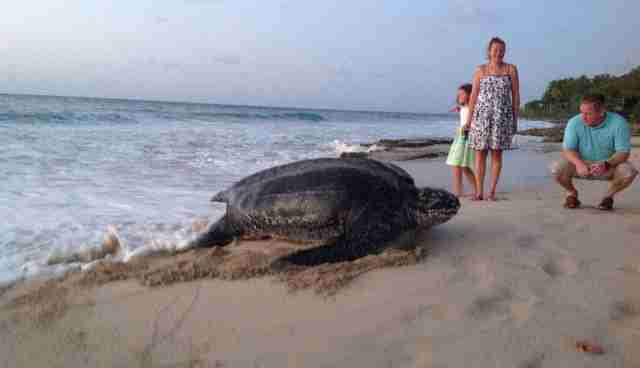 Good thing the partygoer took plenty of pictures before she did.